That's right. I knew it was still around somewhere. 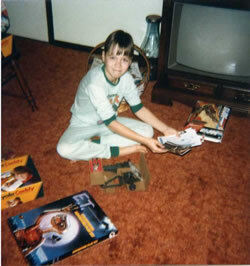 Christmas of 1982 was a pretty memorable one. 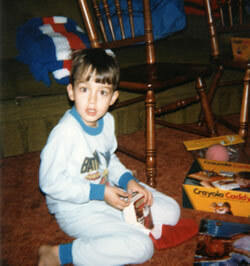 In first grade at the time, I was at an age where Christmas was the highlight of my kid year and Santa was still cool! On this particular Christmas morning, Santa had showed up with some gifts that got plenty of use in our house over the next few years. Besides a Crayola Caddy for both my brother and me, not to mention his G.I. Joe HAL (Heavy Artillery Laser), you might notice my E.T. Colorforms Adventure Play Set there on the floor as well. Surprisingly, there are only a few small pieces missing from this set. After a quick glance, it looks like I'm missing a cake, a potted flower, a six pack, and a pink piece that I've yet to determine what it is. 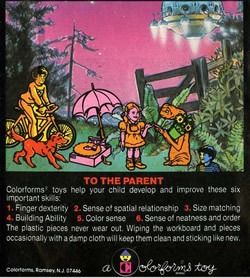 This Colorforms set happens to be one of the larger sets that folds open to reveal extra playing surface -- in this case, the inside of the house. 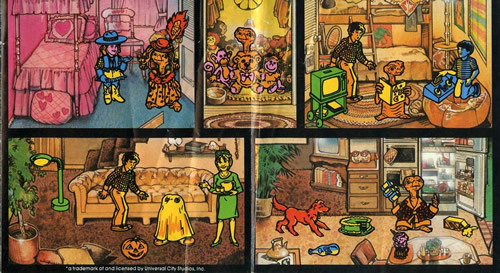 Also, this is one of the few Colorforms sets where I still have the original instruction book. Looking at the pieces themselves, I like the fact that there are several E.T. options (unlike the Dukes of Hazzard set we had which had a very limited selection when it came to the main characters from the show). Of course, anything that remotely looks like an Atari is cool in my book as well. 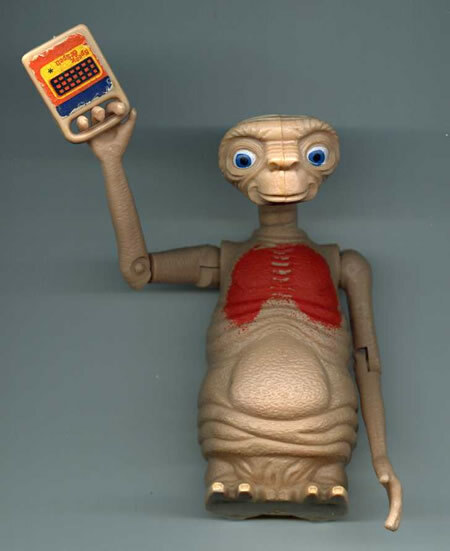 But looking back, as kids across America played with their E.T. 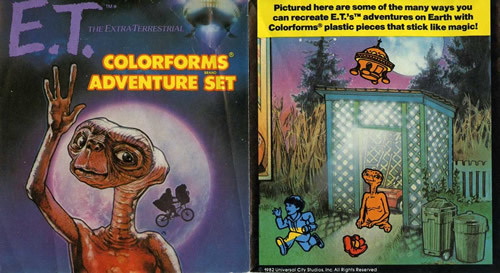 Colorforms sets, we surely used the Gertie piece quite frequently -- likely recreating the scene where she and E.T. play dress-up. Looking past her giant Colorforms head, could any of us have predicted the quiet and tactful future in store for Drew Barrymore's acting career? 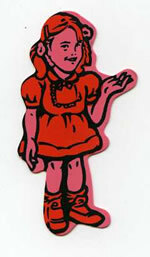 The likeness of Drew Barrymore is pretty impressive considering the media.